We are so grateful for the efforts of students at Greater New Bedford Regional Vocational Technical High School for their continued involvement in the Books and Bears program. 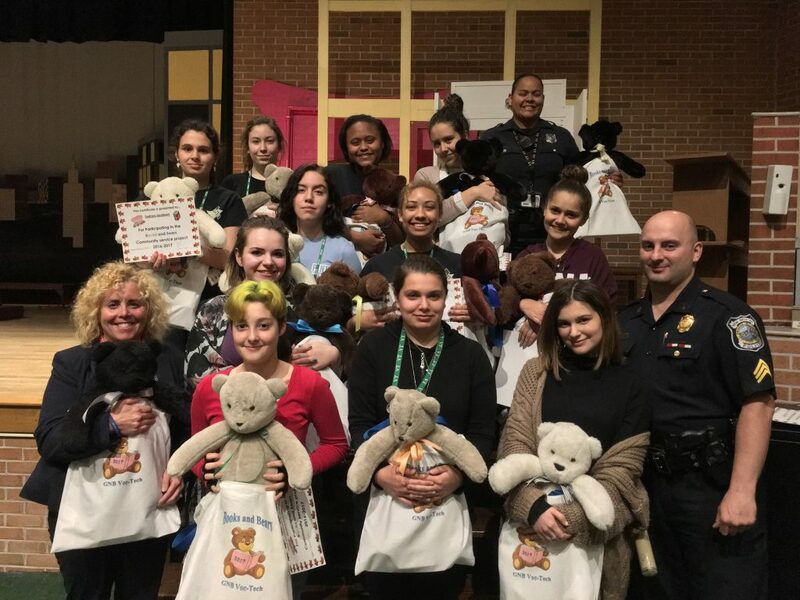 Students in Media Technology, Fashion Design, and Early Childhood Education design and create stuffed bears and books to give to children in crisis situation. The books and bears were presented Wednesday to members of the New Bedford Police Department’s family services unit. These bears and books will bring comfort to children and are greatly appreciated. Sgt. Pamela Melo told the students that research has shown that hugging a bear elevates the mood and makes people feel better, which is especially important for children in crisis. “These bears will bring comfort,” she said.